"The Thorpe Story" by Bill and Connie WILSON. It may be privately published. It has lots of history about the place and the people who lived there. The parish was in the South West sub-district of the Lincoln Registration District. You can also perform a more selective search for churches in the Thorpe on the Hill area or see them printed on a map. In 1912 the whole of the church, with the exception of the tower, was pulled down and rebuilt on new foundations. The church is constructed of Weldon stone and has a barrel-style roof. 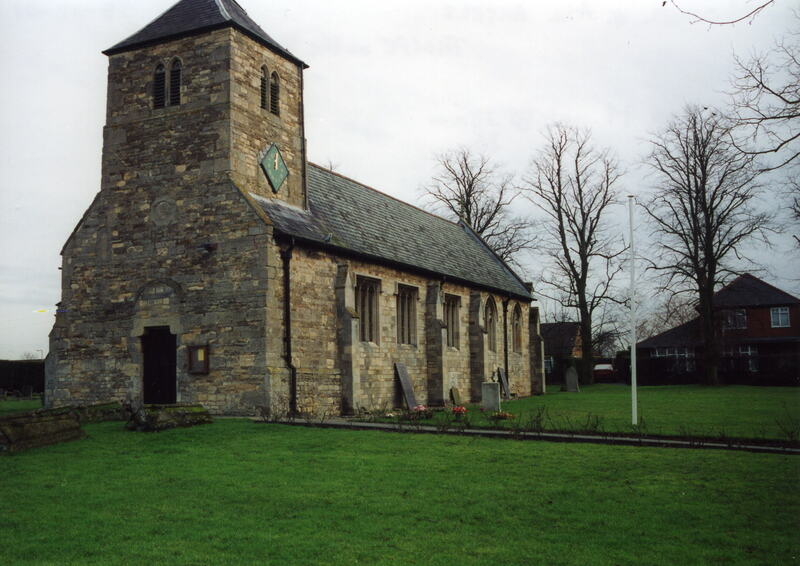 There is a photograph of St. Michael's Church on the Wendy PARKINSON Church Photos web site. Richard CROFT has a pretty photograph of St. Michael's Church at night on Geo-graph, taken in 2007. The Anglican parish register dates from 1695. The LFHS has published several indexes (marriage and burial) for the Graffoe Deanery to make your search easier. The John Hunt Wesleyan Methodist chapel was built here in 1909. Richard CROFT has a photograph of this Wesleyan church on Geo-graph, taken in 2008. The Free (or United) Methodists built their chapels here prior to 1930. To research these chapels, check our Non-Conformist Church Records page for additional resources. Thorpe on the Hill is both a village and a parish south-west of the city of Lincoln and 130 miles north of London. The parish is bordered on the west by Eagle parish and on the south by Haddington township in Aubourn parish. Watch for the village sign as photographed by Richard CROFT in 2008. Ask for a calculation of the distance from Thorpe on the Hill to another place. You can see the administrative areas in which Thorpe on the Hill has been placed at times in the past. Select one to see a link to a map of that particular area. The parish was in the ancient Graffoe Wapentake (or Boothby Graffoe) in the North Kesteven division of the county, in the parts of Kesteven. A charitable bequest distributed 32 shillings twice a year to the deserving poor. As a result of the 1834 Poor Law Amendment Act, the parish became part of the Lincoln Poor Law Union. Bastardy cases would be heard in the Lincoln South petty session hearings. There was a small National School here by 1900.